Blogmas: 2,000+ Followers is a Wonderful Christmas Gift! KaylaAnn’s Author Blog has officially reached 2,000+ followers! So life has been insane lately, more than insane, but I cannot think of word that aptly describes my life at the moment. In the past week, my final grades were due at the college I teach at, meaning that I had to grade 64 six page essays in seven days! It got even harder when I realized that one of my students had plagiarized (let me tell you, that is not a fun process to have to go through as a professor). At the same time, the high school I teach at, desperately needed subs, so I ended up working 20 hours more than I usually do there (on top of what I already work). Plus, my fiance and I are planning home renovations for his back house so as to turn his bachelor pad into our home when we get married. On top of that, my best friend just had her baby three days ago and she is the most beautiful child I have ever met. I already love her with all of my heart and I know that I would do anything for her. Let me just say, the past week was insane. Which is probably why I did not realize that my blog had hit over 2,000+ followers until today! And let me just say, this was such a wonderful encouragement that my blog is doing what I hope it would do. I love the community that I have found here on WordPress, especially those who support, like, and comment regularly. As a giant thank you, I would love to read your posts! I feel like I haven’t been able to keep up with all your wonderful bloggers and like I have been neglecting you. So PLEASE, in the comments, drop a single link from either your most RECENT post or your FAVORITE post from the last month. I have always loved this song, but their rendition is truly beautiful. Let’s take a vote! Out of these Top Twelve Christmas songs, which one is your favorite? To watch a miracle unfold. When it hears the baby’s laughter. Asleep in his trough of hay. To meet the heavy eyes of a father. A journey of trial and triumph. A breath held, a too-long pause. At a bundle swathed in cloths. It’s December, it’s almost Christmas, it’s cold enough to cuddle with blankets, so you best believe that I will be watching my Christmas movies with pleasure! So grab your own blanket, slip on those fuzzy socks, pop the corn, and take a seat with me. Take a vote and tell me below which of these five is your favorite! 4. 2003 ELF (I’m not always a fan of Will Ferrell, but he nailed this role!) Plus, Buddy is pretty much a modern-day Rudolph (the comparisons are solid, trust me, I did the analysis). By far, this is the best Christmas movie. When I imagine “Santa Clause,” Tim Allen is the only face I see. For all I am concerned, he IS Santa Clause. It deals with real life issues like divorce, it has holiday joy, it has snarky sarcasm, and it leaves me with a happy feeling inside. What do you think? Am I missing any of the classics? What is your top holiday movie? Blogmas: My Favorite Christmas Attire-Socks! 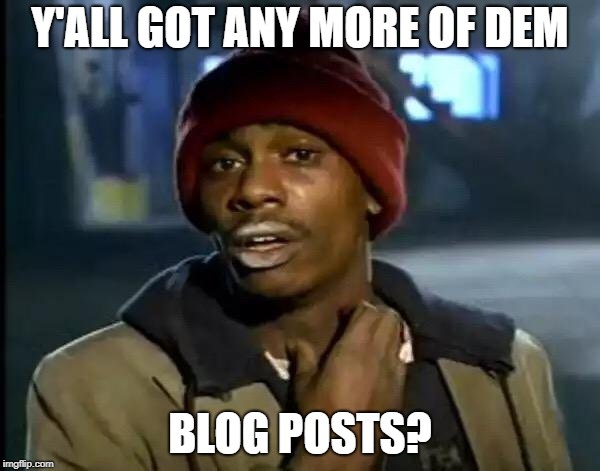 Who out there is participating in blogmas? How’s it going? I’m having so much fun with these posts! They are definitely helping me feel the holiday spirit! Today, I’m going to let you in on a little secret. I LOVE socks, like a ton. Not just your every day white or black ankle socks, no I love fun, knee-high socks! Every year, I search high and low for new socks to add to my collection. As such it shouldn’t be a surprise that I have several pair of Christmas themed socks! 1. Candy-Cane socks! These are by-far my favorite pair, although they are a bit thrashed from my use. Hopefully they have a few years left in them! Which pair do you like best? Any one else have specifically holiday attire? How are your blogmas posts coming along? Don’t forget to submit your favorite blogmas post in the Blogmas Contest! Today for Blogmas, as my present to all of you, I thought I might show you all how you can create beautiful, holiday wine decor bottles for yourself! After you’ve collected your bottles, you will need to spray them your preferred color (white). Let them dry and then spray them again. You will almost always need 2+ coats of paint. After stenciling on the letters of your chosen styling, you will need to fill in the letters with red glitter glue. Make sure to give a thick layer as it will flatten and thin out as it dries. (These will take a full 24 hours to dry). A full 24 hours later, your glitter letters will have thinned down and you will want to spray the whole bottle with clear sealing spray paint. After this coat has dried (another hour or so), using the hot glue gun you will apply layers of twine to the top of the bottles. Remember those holly berries and mistletoe branches from earlier? Create a lovely Christmas-themed floral arrangement coming from the tops of those bottles as your finishing touch! There you have it! The whole process takes about 2-3 days and the various supplies can be found at most craft stores.